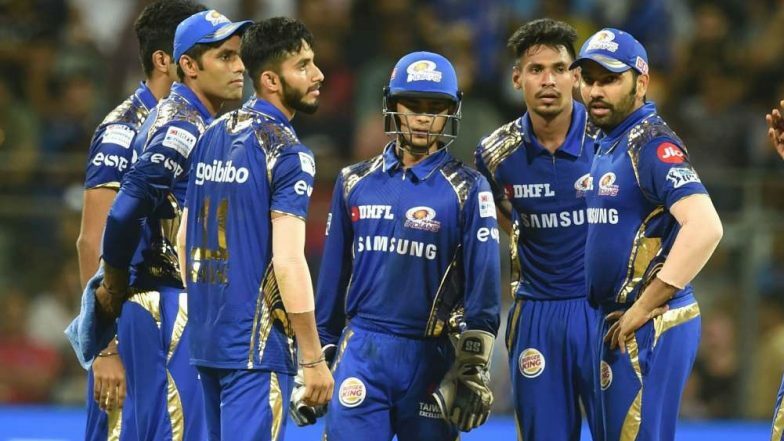 Mumbai Indians are currently playing against the Chennai Super Kings at Wankhede Stadium for the 15th game of the IPL 2019. This is the fourth game that both teams are playing in the IPL and if Mumbai Indians manage to win this match, they will create a record for themselves. If the home team manages to win this game, they will be the first IPL team to register 100 victories under their belt. As of now, the team has registered 99 victories from 174 games. MS Dhoni Could Complete 4,000 Runs for Chennai Super Kings During the Match Against Mumbai Indians in IPL 2019. Team Chennai Super Kings stands second on the list with 93 victories from 151 matches. Both MI and CSK have won the title thrice and with the aim of clinching the trophy for the fourth time, the teams are locking horns with each other. On one hand where Mumbai Indians have not had a great start to IPL 2019, as they have lost all three games so far, whereas, Chennai Super Kings have won all three games. On one hand, where Mumbai would surely be looking to win their first game, CSK would be wanting to keep up their winning streak. MI 50/3 in 8.3 Overs | MI vs CSK Live Cricket Score Updates IPL 2019: Mumbai Indians Rohit Sharma, Yuvraj Singh in Quick Succession. Talking the game underway, Mumbai has already lost three quick wickets. The first to go was Quinton de Kock and then MI captain Rohit Sharma. Left-hander Yuvraj Singh also was sent packing to the pavilion on the score of 4 runs. De Kock made 4 and Sharma scored 13 runs. You can check the live updates of the match here.